“Have you been able to save some money over the years? If you have The Itch…to be your own boss, is there a way for you to stick around at your job for a bit and start a franchise business? Opportunities like this aren’t very common, but if you can swing it, you could have multiple franchise units up and running by the time you leave your company“. That’s a lot of career choices. It’s a good thing that you don’t have to choose more than one. I’ve made some great career choices over the years. I’ve also made some lousy ones. Some of the best ones involved taking some-or most of the emotion out of the decision. The not-so-good ones were almost always emotionally-based decisions. We all have little voices in our heads-some more than others, based on my very unscientific observations of humans over the years. These inner voices are almost always accurate. You know which ones I’m referring to. If not, I have an example that may jog your memory. Should you go out with this person? Let’s say that you’re single. You’ve been trying variety of techniques to meet people. Blind dates, online dating sites, speed-dating, and the list goes on. One day, you end up meeting someone. This person has seems to have everything you want; great looks, intelligence, availability — everything. You decide to meet for coffee, and you hit it off, big-time. But then, it hits you. Something about this person doesn’t feel right. Something is telling you not to go out with this person. And, it’s up to us whether we listen to it or not. I don’t know how things have worked out for you, but for me, whenever I’ve ignored my intuition-that little voice inside my Crown, things haven’t worked out very well. I really try hard to listen to that little voice these days. Do you? 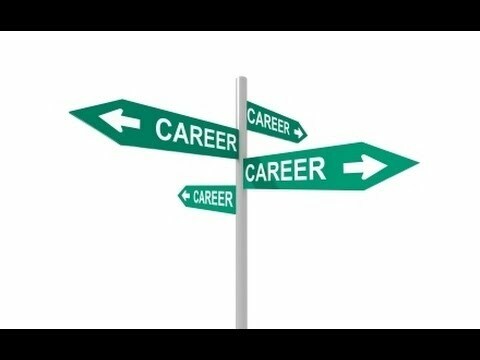 What should you do about your career? I know that you really want to make a great career choice. I can’t answer that question for you. It’s something that you have to do. You have to make the choice. Maybe you’d like to leave your current job. It could be that your boss is an idiot, or it could be that you just hate it. If it’s time to make a move, start putting things in place. Put some feelers out. Try to find out which companies are growing. Do some networking. Go to some local business events. Could it be time to make an upward move? Is there a way that you can set yourself up for a promotion? Who do you need to talk to there? Are there some projects around that you could get involved in…so you can show your stuff? Have you been able to save some money over the years? If you have The Itch…to be your own boss, is there a way for you to stick around at your job for a bit and start a franchise business? Opportunities like this aren’t very common, but if you can swing it, you could have multiple franchise units up and running by the time you leave your company. I don’t recommend it, though. I did it numerous times myself, and every time I did it, I regretted it a few days later. And, every time it happened, it was an emotionally-based decision. It’s much better to have something waiting in the wings before resigning from a position. Trust me. Being the boss: A great career choice? Let’s say that you’re hell-bent on making a move, and it involves becoming your own boss. That’s great! Just make sure that you decide what type of business you’re suited for. It may or may not be a franchise. If you’re someone who hasn’t had a glorious history of following rules in your career, please think twice about becoming the owner of a franchise business — a business model that’s 100% rule-based. I want you to be your own boss if that’s the path you’re choosing. If you feel that you’d be a good fit for a franchise, rock on! Start here. If that little voice inside your head is telling you otherwise, look at some other way to go into business for yourself. The possibilities are endless. Maybe you decide to keep your job. Maybe you decide to put some things in place to help you get a promotion. Maybe you decide to look for a new job. Maybe you keep your job while starting a business. There are so many great career choices. Joel Libava is a franchise ownership adviser best known as The Franchise King®. He is the author ofBecome A Franchise Owner! The Start-Up Guide To Lowering Risk, Making Money, And Owning What You Do (Wiley 2011).